Afternoon everyone! Hope you’re all having a lovely weekend and enjoying the little bit of sunshine we’re having! Last week I decided to try out a couple of nail polishes that I’ve owned for a while but not worn. 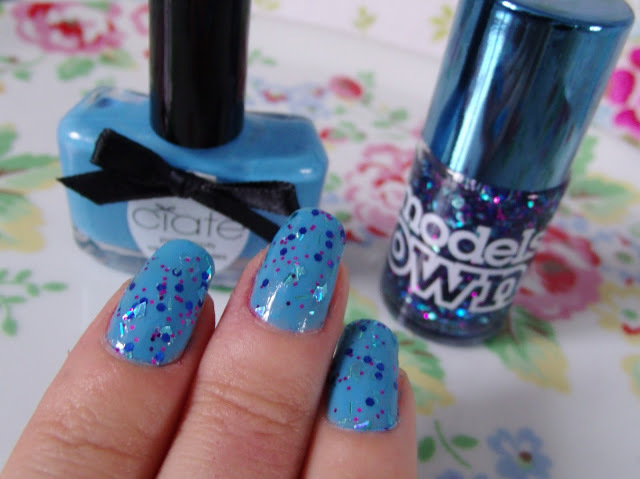 So I wore a base coat of Ciate Holiday Blues, and then one coat of Models Own Freak Out. 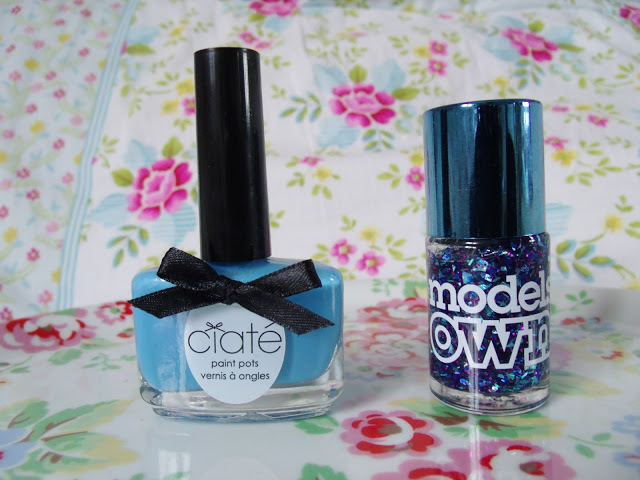 I love Holiday Blues as it’s a lovely sky blue colour and Ciate polishes are nice and glossy. I wasn’t sure what the Models Own Freak Out glitter polish would pair up nicely with, but I decided to wear it with Holiday Blues. 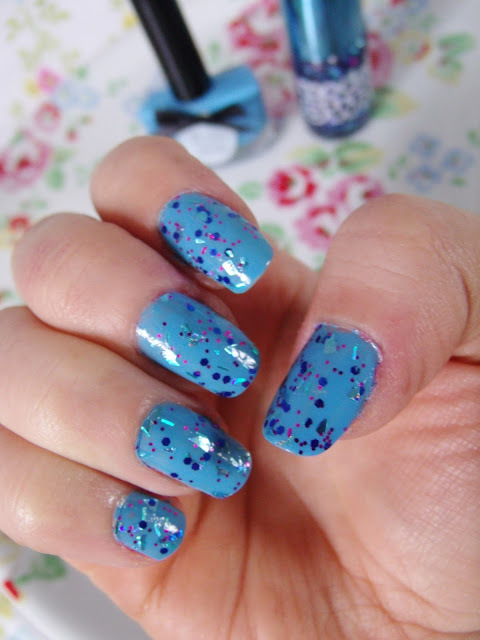 Freak Out is a glitter polish with large dark blue glitter bits, tiny purple glitter bits, and then shards of a gorgeous turquoise blue glitter. Overall I really like the two polishes together! Really pretty color combination. Loving the blues. Yes! I managed to do the cath kidston nails! That's how I found your blog actually.